As a conservative Republican voter and supporter of many years, I respectfully request you as our Republican Representatives in both the House of Representatives and Senate to dutifully resign from office. As representing our great country you have failed miserably in removing President Obama from office thru the Impeachment Process. Now that as Republicans with a majority vote in both houses, it is beyond my personal belief that you as representatives of our great country stand in shaking fear of this tyrant that stands in the office as President of the United States. The list of lies that President Obama (I use the word “President” before Obama’s name with no pride whatsoever) is well know and documented as previous posting in January of 2014 so testifies and his known lies goes beyond this list. 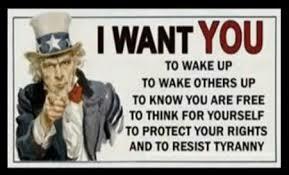 To now insure full control of our country from a Democracy to a tyrant controlled country, Obama has now put into place total control of “Free Speech” by his now control of the internet. It is just a matter of time, such TV stations as FOX and postings such as this will no longer be possible under Obama’s rule. Recalling President Clinton was impeached for basically getting several “Blow Jobs” by a young intern in his office, the list of Obama’s misdeeds should be justified enough to bring on the Impeachment of Obama. Again, if you as my representatives lack the courage to fight and overcome this evil named “Obama,” please resign and step-down and allow some true “Citizen Servers” to serve our country as Republican representatives. 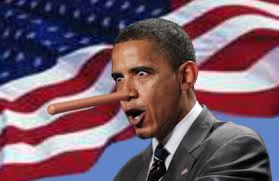 “A Review of President Obama’ Lies” A Commentary by John J. Rigo. Picture courtesy of Google Image search.